Daryl Murphy was no stranger to aircraft design. Whilst still in school in 1978 he designed a rigid hang glider as part of a school project. The idea of the Renegade was hatched whilst Canadian born Darryl, by then a mechanical engineering technologist, was recovering from a non-aviation related accident. He initially designed the Renegade for his own use, never imagining that it would find favour with other homebuilders. Flying it to aviation events the classic lines attracted attention and such was in the interest in the chunky little bi-plane that in 1985 he took the plunge and resigned from his job and together with his brother Bryan started Murphy Aviation, later renamed to Murphy Aircraft Manufacturing. 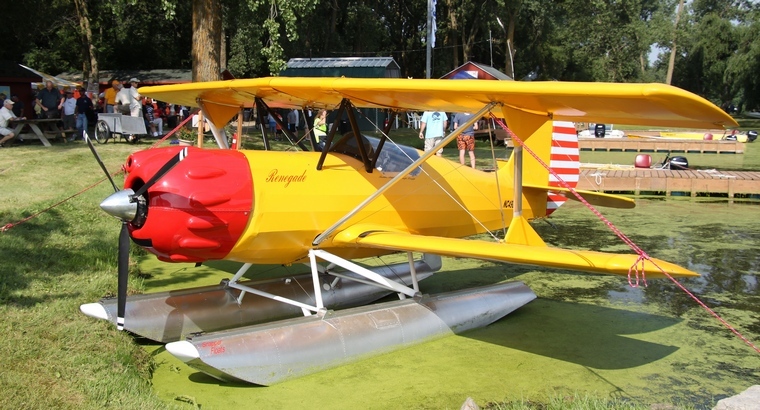 The original single seat design was modified to seat two by moving the fuel thank to the top of the wing in the fashion of the Tiger Moth and installing a second seat in the space available and the Murphy Renegade II was born. Despite the original interest shown only one was built in the first six months and things looked rather bleak. Darryl then did what almost all manufacturers of new aircraft do, he flew the Renegade to AirVenture, the annual convention of the EAA (Experimental Aircraft Association) of America held in Oshkosh, Wisconsin and such was the interest in the Renegade that by 1986 they had a full order book many from outside their native Canada. 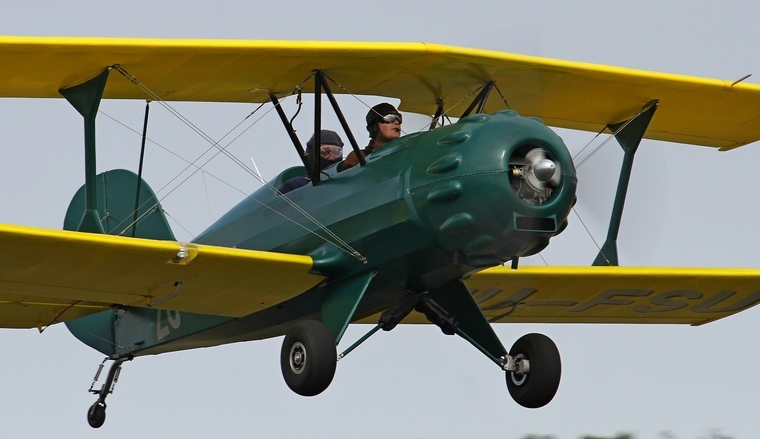 EAA visitors and buyers were offered six purchase options; plans only, partial material kits, full materials kits, complete unassembled kits, quick build kits and fully assembled aircraft. In 1987 the Renegade got its distinctive radial engine style round cowling that added to its already classic 1930s look. The standard engine then was the 64 hp Rotax 532 whilst later models were powered by the 582. When the 80 hp 912UL became available that was added as an option. Fibreglass wheel pants were also added to the option list. The Murphy Elite, a tricycle version of the Renegade followed. It included numerous improvements, including a reinforced frame, cantilever tail plane, one piece elevator, all metal control surfaces, split configuration flaps and upgraded wing attachment points. The improvement allowed for the fitting of engines of up to 180 hp and opened a ready market for conversion to float plane configuration one of which has been a regular visitor to the Sea Plane Base at Oshkosh. The chunky Renegade is a tough little aircraft. The fuselage construction is of aluminium square tubing extrusions and fittings, fastened with Avex rivets. The engine mount uses 4130 steel whilst aluminium tubing and channel sections are used in the fin rudder and horizontal stabiliser. The tail and wings are wire braced, the top wing having a span of 21 feet and a sweep of 10 degrees to improve visibility from the pilot's seat. The wings were tested to 4,050 lb or a 7.2 g working load with a +10 and -6 g ultimate load. There are two Renegades resident in South Africa; one resides at Petit Airfield on the East Rand and the other at Marble Hall. 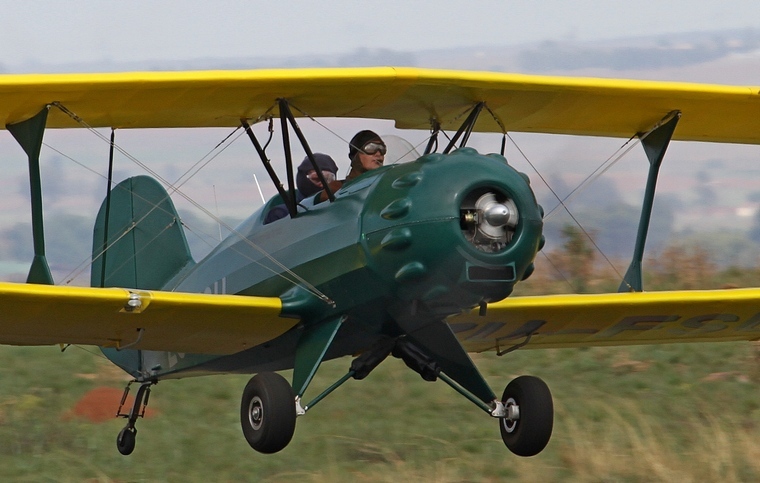 This example unfortunately had an engine out on its way back from the 2013 Taildraggers at Nylstroom and was damaged in an outfield landing. The fuselage construction is of aluminium square tubing extrusions and fittings, fastened with Avex rivets.